I have one small parsley plant in a pot. Should be gone in a day or so at this rate. There are five or six of these guys chomping away. 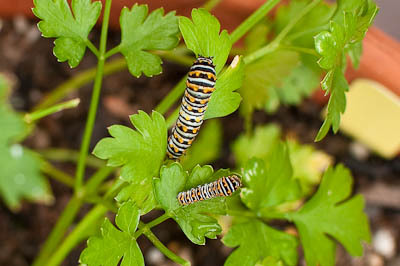 Quick internet search indicates they may be black swallowtail caterpillars, so I think I’ll let them snack away.